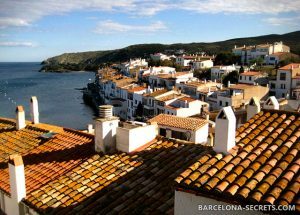 Cadaqués is one of the most picturesque towns on the renowned Costa Brava. Cut off from the rest of Catalonia by a mountain massif, at the turn of the 20th century, this fishing village became a favorite spot for artists and poets. 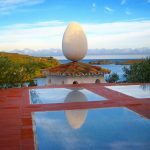 Salvador Dalí spent a significant amount of his childhood in Cadaqués, and later bought a house on the idyllic bay of Port Lligat, which became a museum in 1997. 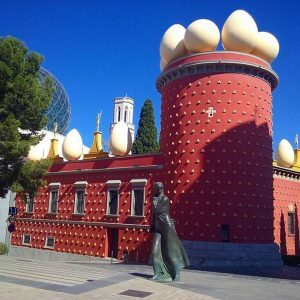 Visiting the Dalí House is recommendable to all, regardless of whether you like the king of surrealism’s art, since this is definitely one of the most unusual homes on Earth. Cadaqués was also a favorite spot for Joan Miró, Marcel Duchamp, Federico García Lorca, René Magritte, Pablo Picasso, and a long list of others. Apart from the gorgeous landscape, the charming medieval streets and the Dalí heritage, Cadaqués is famous for its seafood restaurants, some of the best in Catalonia. It is also a great place to explore small art galleries. The highlight of a trip to Cadaqués can be an outing to the Cap de Creus headland, the easternmost point of the Iberian Peninsula, with its truly extraterrestrial landscape. And if you want more, high in the mountains not far from Cadaqués is one of the most spectacular monasteries in Catalonia – Sant Pere de Rodes – as well as a number of old wineries where you can learn about the wine production process and enjoy tasting these high-quality wines. A tour to Cadaqués can also be combined with a visit to the Dalí Theatre-Museum in Figueres, the city of Girona or Púbol Castle, which was Dalí’s gift to his wife Gala. The tour is private, for you and your party only. 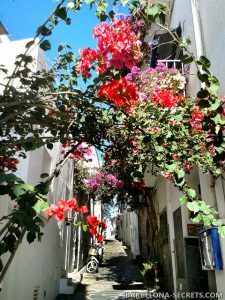 The tour price is per group, not per person and includes a personal English-speaking guide, private transport (car or minivan with driver) and local taxes. Pick-up and drop-off at your hotel or any other point in Barcelona. No advance payment needed, free cancellation anytime before the tour date. We know plans can change, and we’re OK with this. Just let us know as soon as possible if you decide to cancel a tour. You make the payment directly to the guide on the day of your tour. 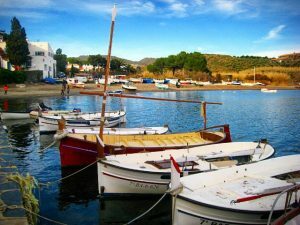 To BOOK A TOUR to Cadaques now, please fill out this form, and we’ll get back to you very soon!